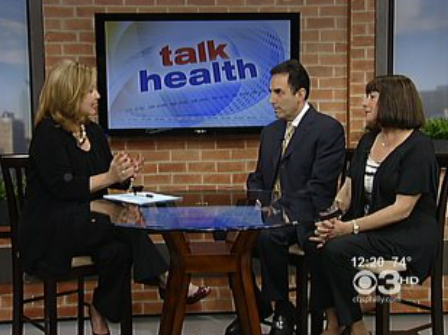 As seen on CBS 3’s Talk Philly show! These days a trip to the doctor can mean five minutes with the nurse and even less time with the doctor. You get your diagnosis and prescription and you are sent on your way, right? Well what if you got a 90 minute exam, a plan for better health, the doctor’s cell phone number in case you have a question and even the opportunity for house calls. You can get all this and more at Prevention First. Here to talk about it is the founder of Prevention First, Dr. Marc Rabinowitz and his patient Sherry Kohn.